Jesus said that the kingdom of heaven is like a mustard seed. When it's planted, it's very small, but it grows into something big. When a person is born again, the kingdom of heaven is planted in their spirits. As that seed is fed and watered it will grow and grow. The Word of God is the food and water that makes the kingdom of heaven in you grow. Be like the wise man that built his house on the rock, become established in the Word of God. You will come to know that what Jesus said is true, "You will know the truth and the truth will set you free." If you can follow simple instructions, you can receive the same Holy Spirit and speak in tongues now. You can minister the Holy Spirit with the evidence of speaking in tongues without fail. 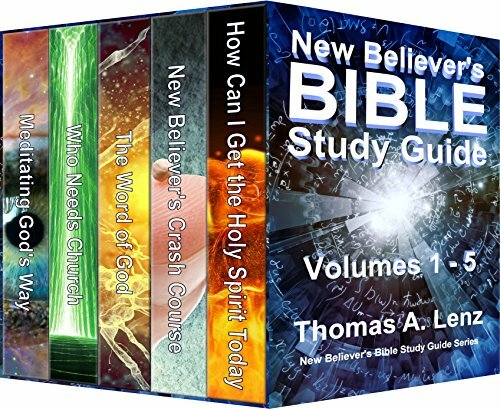 The New Believer's Crash Course is the perfect quick start guide into the abundant life. "I can be Christian and not go to church." True or False? Jesus said that He came that we might have life. He also said that the words He speaks are life. So we see that Jesus came to bring God's word. This book contains all four of the above books in one volume.